Superdry women’s all over print zip hoodie from the Orange Label range. Do layering the right way wearing this Superdry all over print zip hoodie. 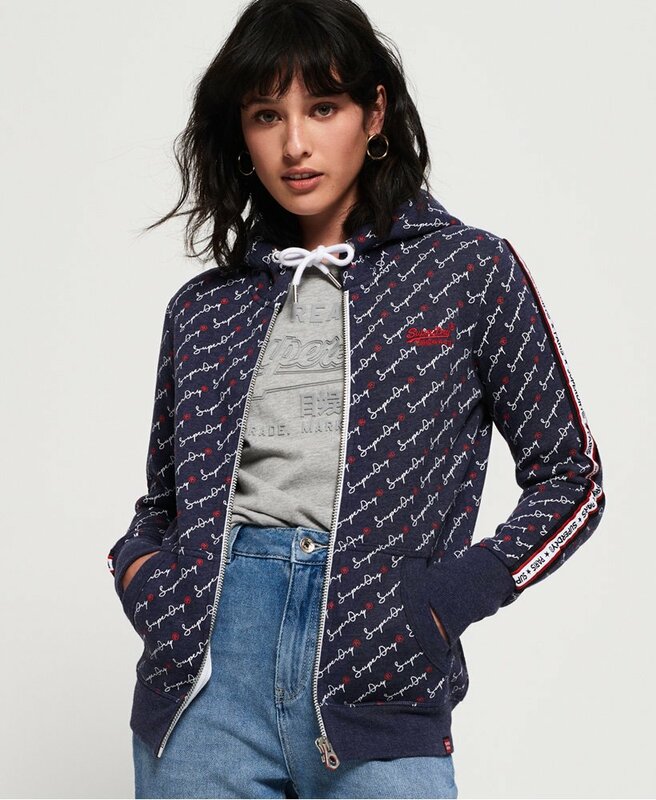 It features a super soft brushed cotton lining, a draw cord hood, Superdry taping down each sleeve and a single zip fastening. In addition, this zip hoodie also has ribbed trims, two pockets and a Superdry tab on the hem. For a timeless outfit, pair this hoodie with jeans and trainers for a stylish casual look.